Have you heard about the newest Lego® product? 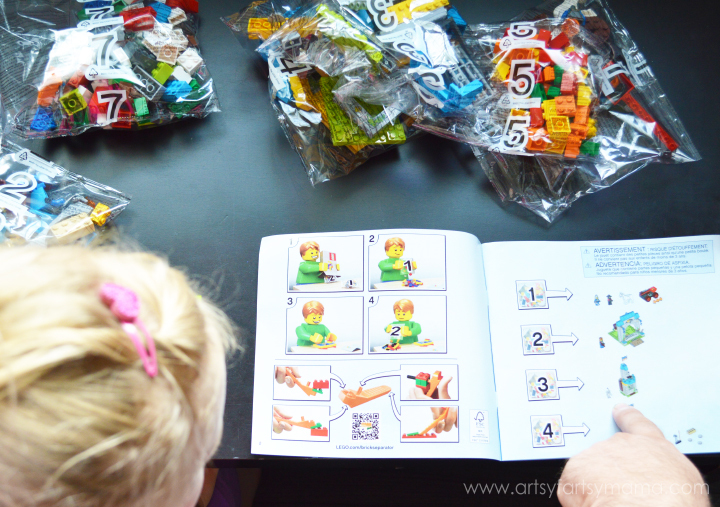 Lego® Juniors is designed to give children age 4-7 a great first experience with Lego® bricks through iconic, fun, and easy-to-build models. 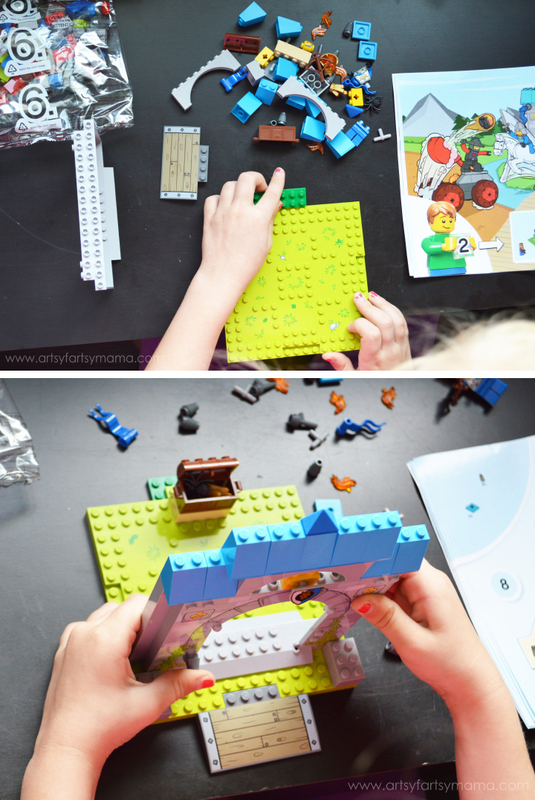 Lego® Juniors sets help kids transition from the larger Lego® Duplo blocks to a smaller version of the original (and more complicated) Lego® sets. These sets come with everything you need, including quick start elements and numbered, pre-packed bags that can be built without help from Mom or Dad – which makes any small builder extra proud. Though the sets are set up to be easily built by any child ages 4-7, my husband was just as excited to get building as my daughter was. He sat by her the whole time to show her the directions, and to be there in case she needed a little help. She loved getting to spend time with her dad, and it was so fun watching them build the entire Lego® Juniors set together. The more she built, the more I saw her confidence grow. She was so proud of herself for putting the pieces together all on her own. The instructions were easy for her to follow and the numbered pre-packed bags were quite helpful for her to know exactly which ones she had to choose from for the first time building. 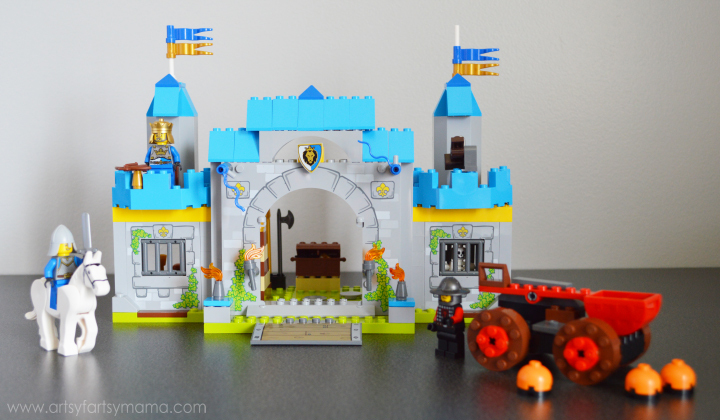 Because the Lego® Juniors sets are smaller and easier for children in the 4-7 age group, it helps set kids up for successful, non-frustrating, experiences for them to make and re-make the sets as instructed, or help them become "Master Builder" by using their imagination to build unique creations. 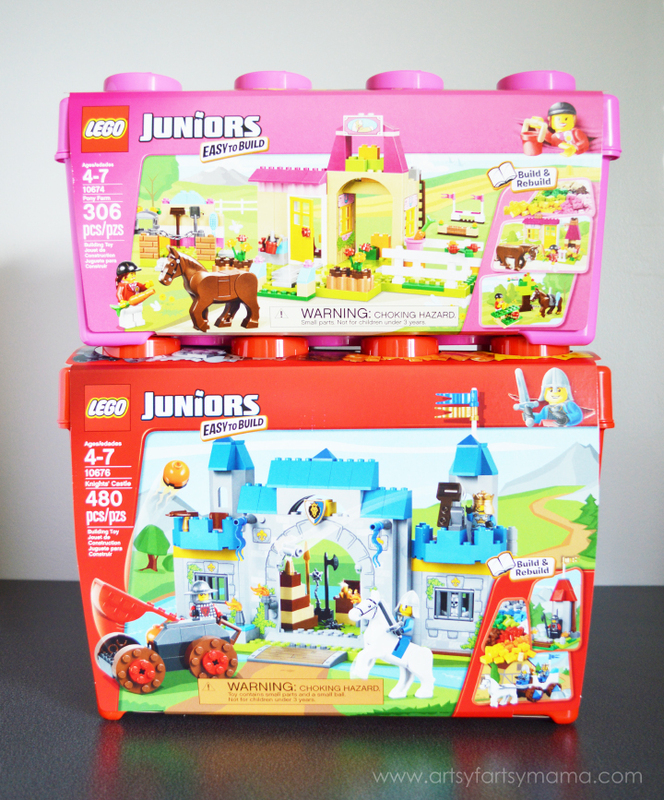 The Lego® Juniors bricks are also conveniently the same size as any other Lego® set, which helped the decision to get my daughter started on Lego® building an easy one! It's so important to inspire children to create at an early age to help build self-confidence and creative thinking skills. Construction play does that and more. I loved watching my daughter played with the sets for hours after she was done building. It was fun watching her take the knights and the other characters for rides on the carriage, and locking people up in the jail. She thought it was so funny that the skeleton peeks out through the jail window and being able to really use the catapult to take out the "bad guy". 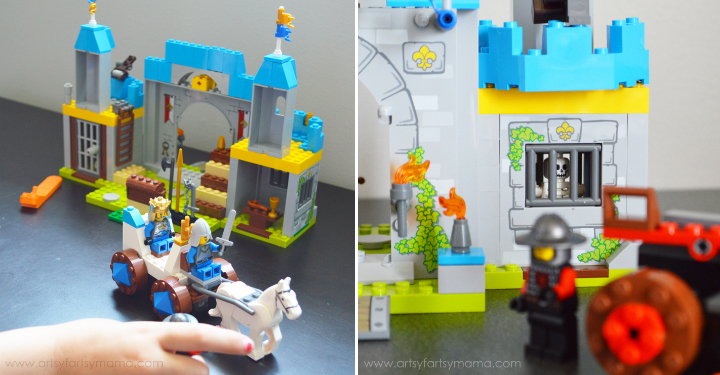 My daughter is one to *always* follow instructions when it comes to things like Lego®, but as we encouraged her to build whatever she wanted, it was incredible to see her gain confidence in her ability to bring her creative ideas to life. 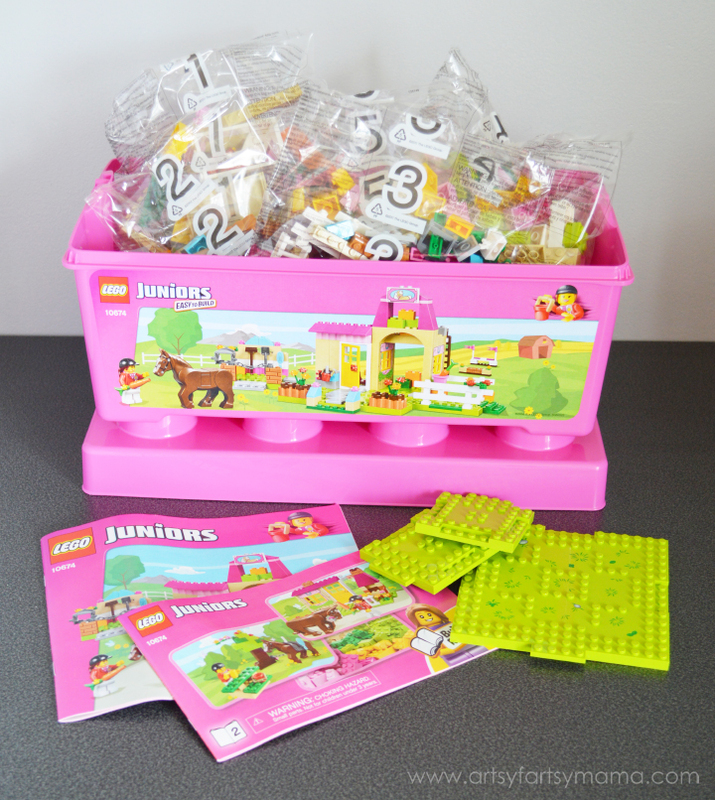 Lego® Juniors sets are available in stores now, and will make fun gifts for birthdays and Christmas. You can keep up with everything Lego® on Twitter, Facebook, Pinterest, and Instagram. We had a lot of fun with both of these sets! Wow, these lego sets look fun! My daughter would have had a blast with them when she was little! These look so cool! Shared. These are just perfect for my five year old- he wouldn't have to feel left out so much when it comes to building Legos with the older brothers! Thanks for sharing, Lindsay! I still love legos. 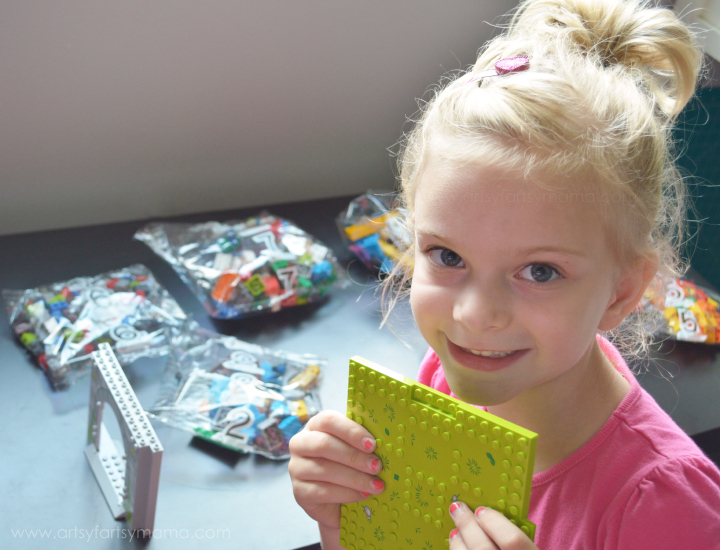 My kids use duplos now, but I can't wait until everyone outgrows trying to eat them so we can use the fun sets!! Oh, that castle looks like a lot o fun! My girls would love this!